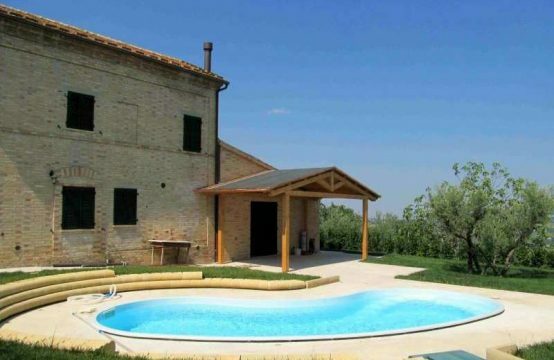 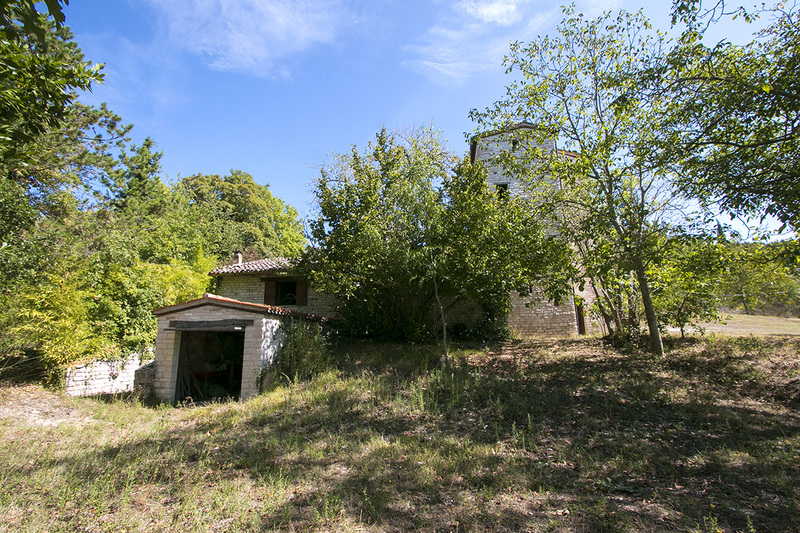 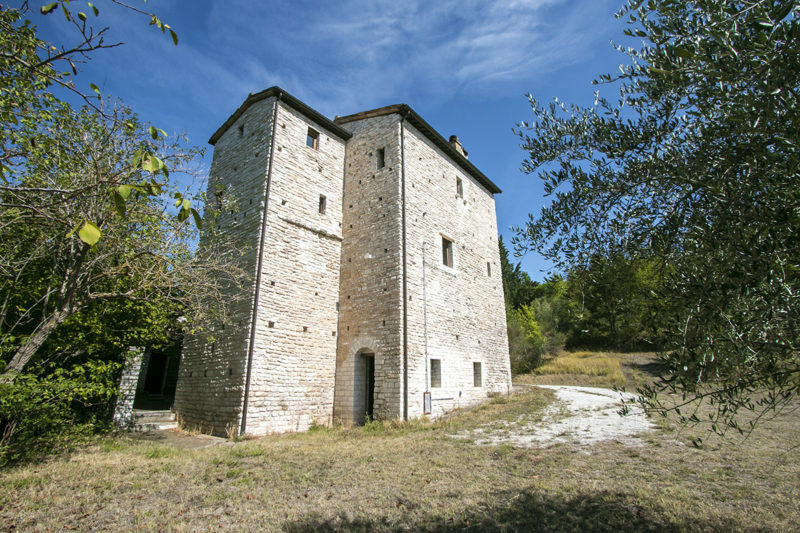 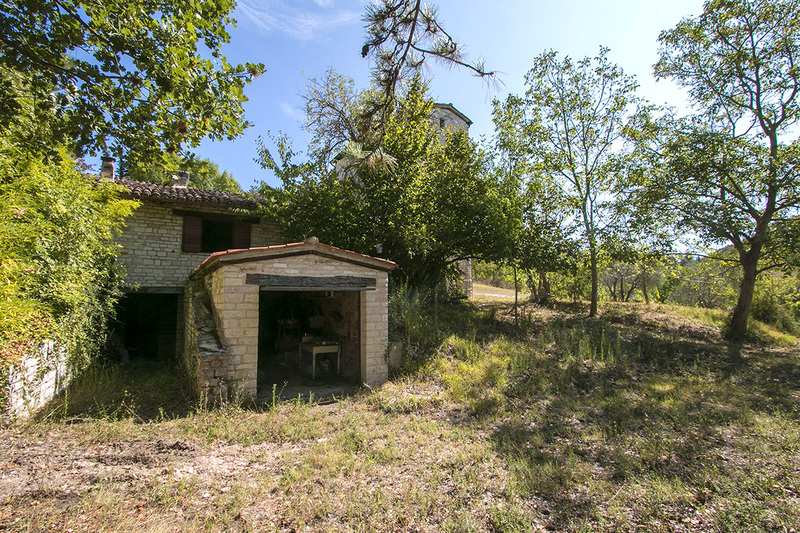 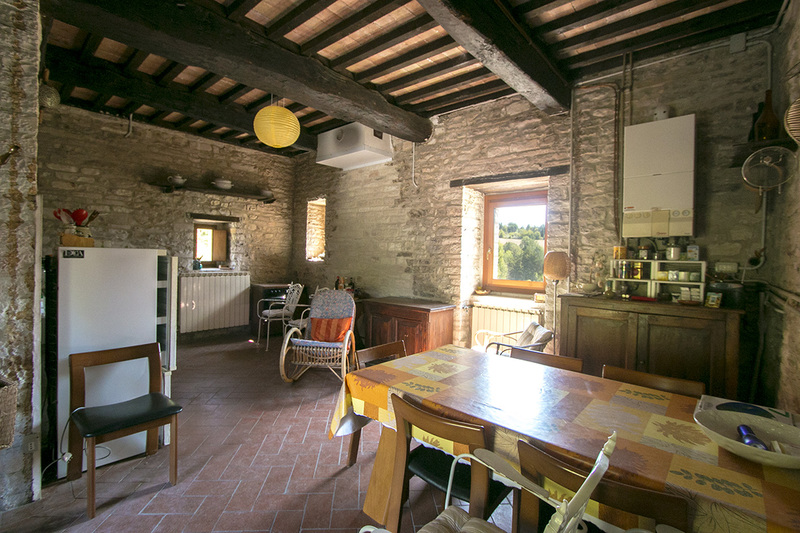 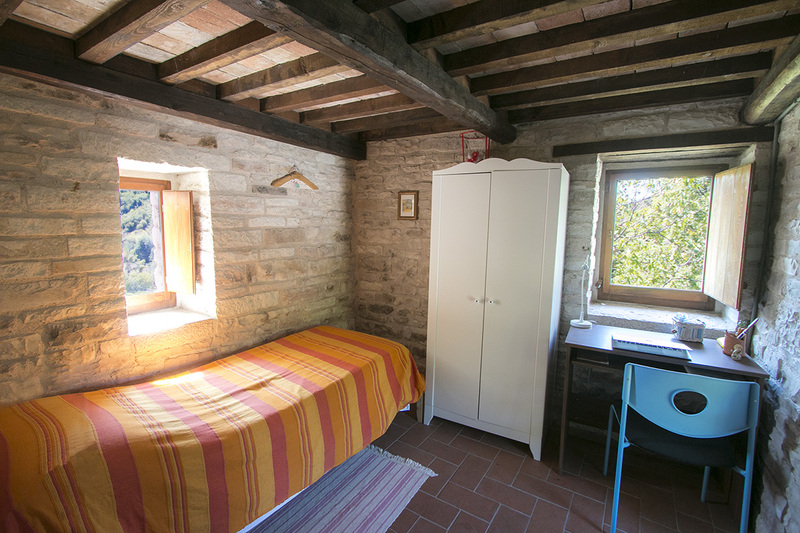 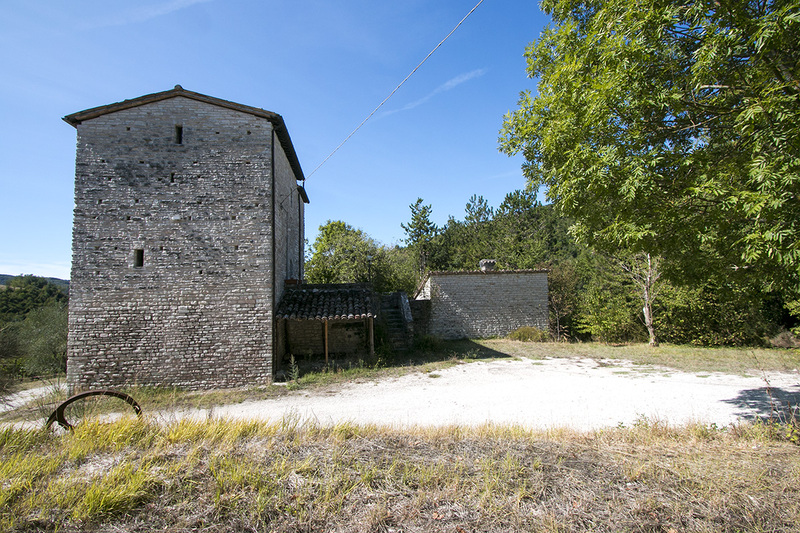 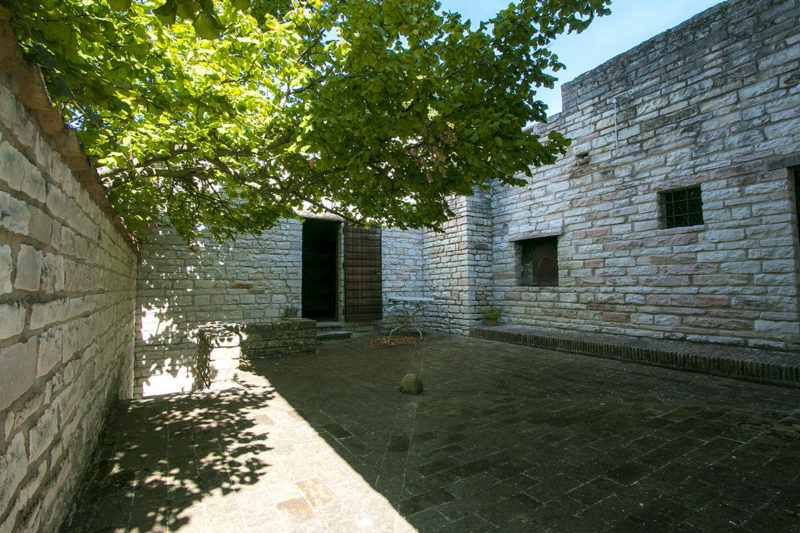 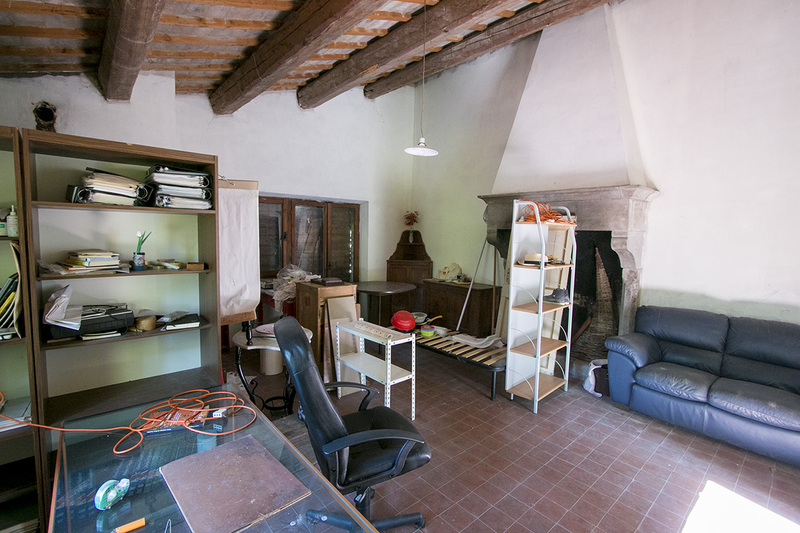 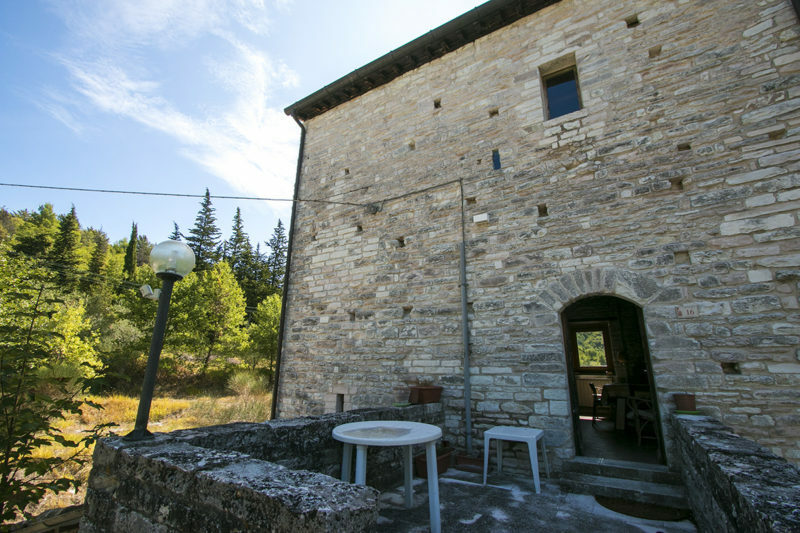 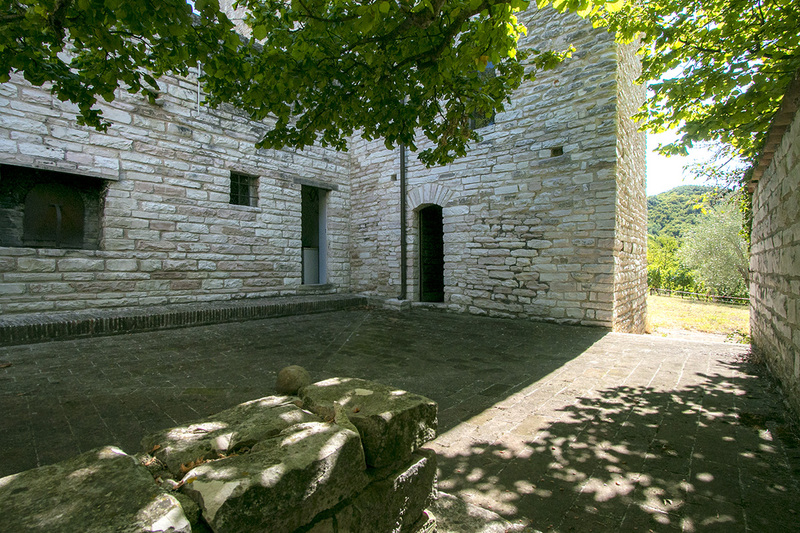 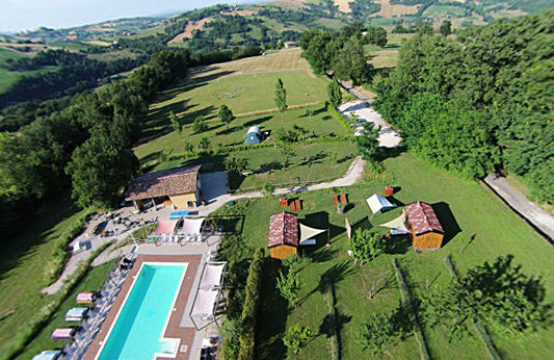 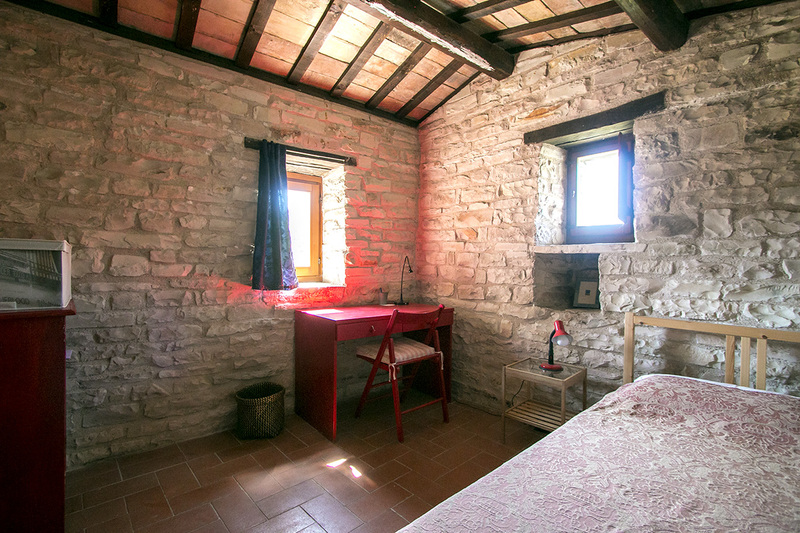 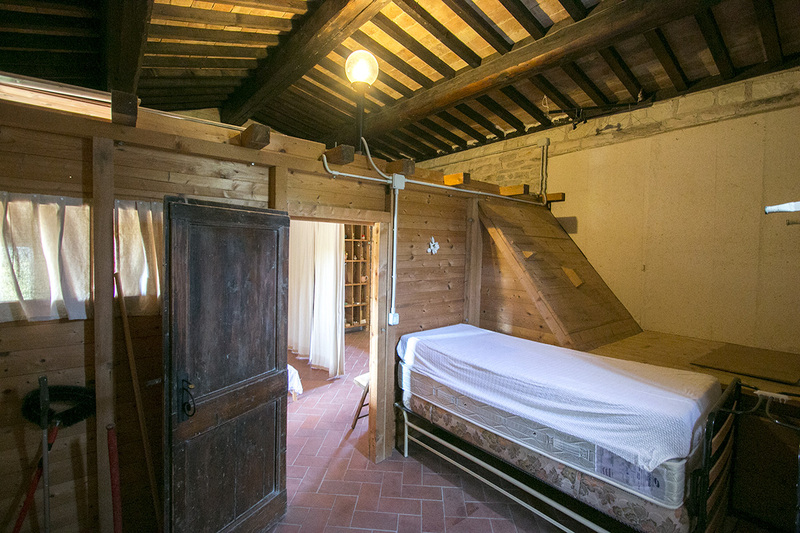 Renovated 15th Century watchtower with annex, courtyard and 10 ha of land near Urbino in Marche for sale. A unique property of considerable historical and architectural value, part of the border defence system of the Duchy of Montefeltro. 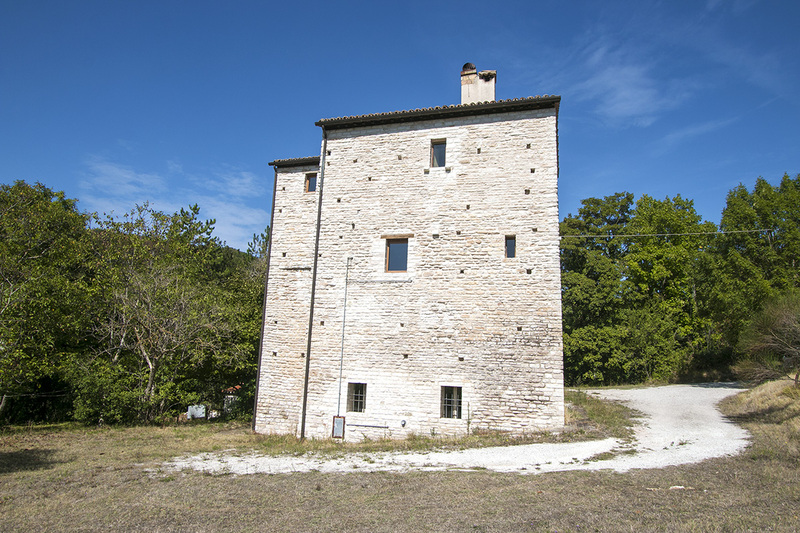 The building is spread over five floors and comprises on the first floor below ground level, two cellars, particularly suitable for keeping wine and oil, and a garage. 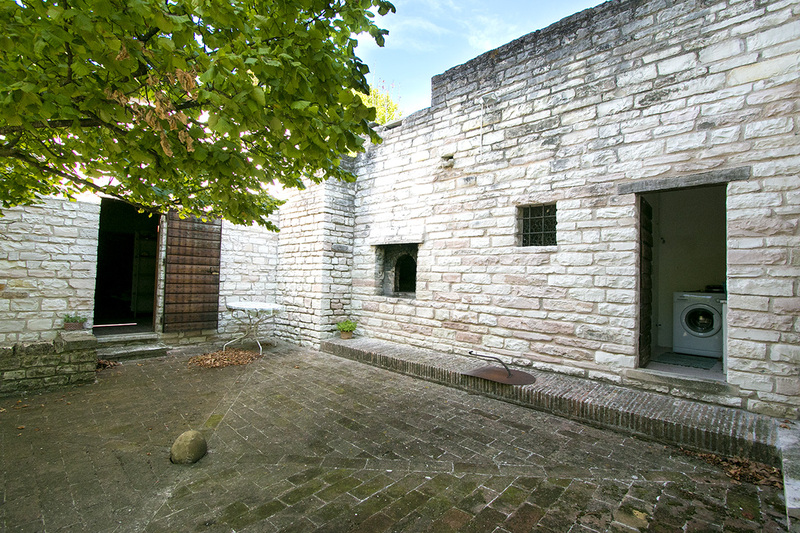 On the ground floor, a living room with a with bare brick vaulted ceiling, bathroom, warehouse with old fireplace, paved courtyard and wood oven. 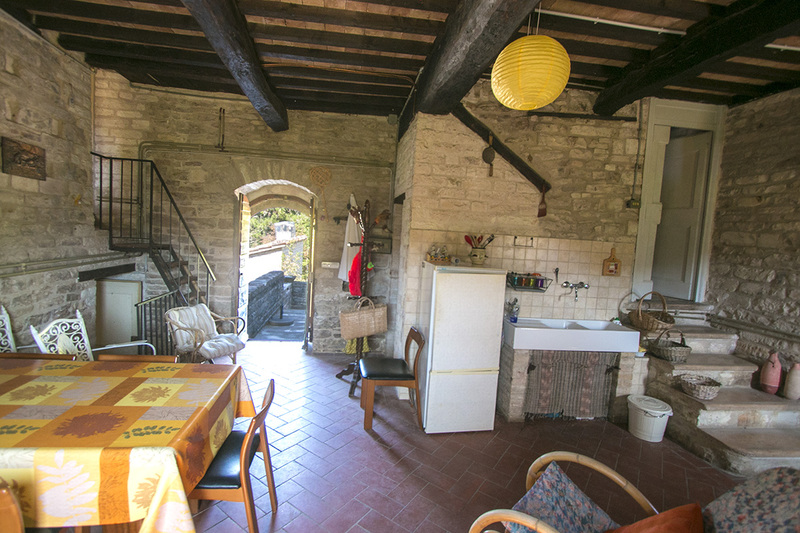 The first floor, kitchen, bathroom and terrace. On the second floor, a bedroom. 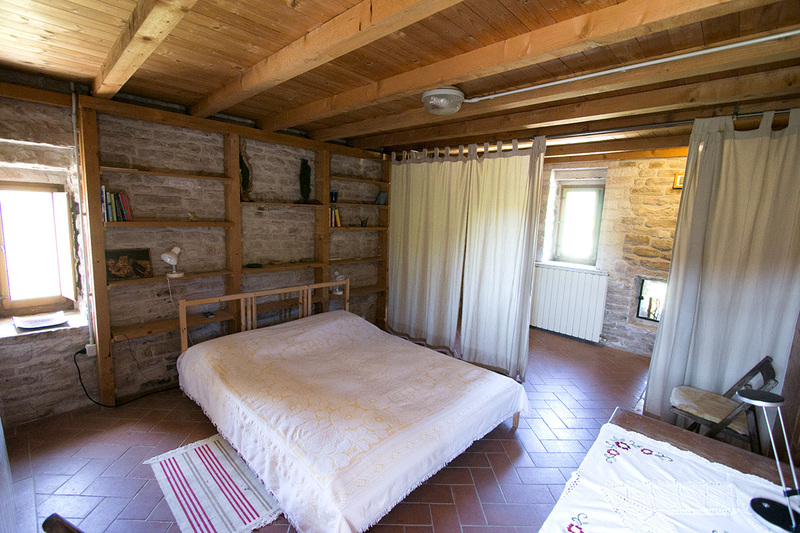 The third floor, a large bedroom and a small bedroom. 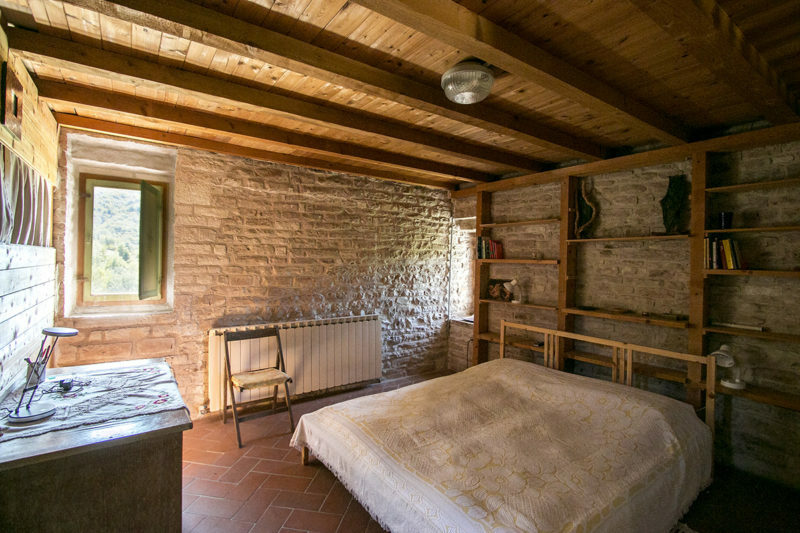 The structure externally and internally is in excellent condition has been entirely made of stone, the ceilings for the most part, and the roof, have ancient wooden beams and planks, while some of the ceilings are made of old bricks. 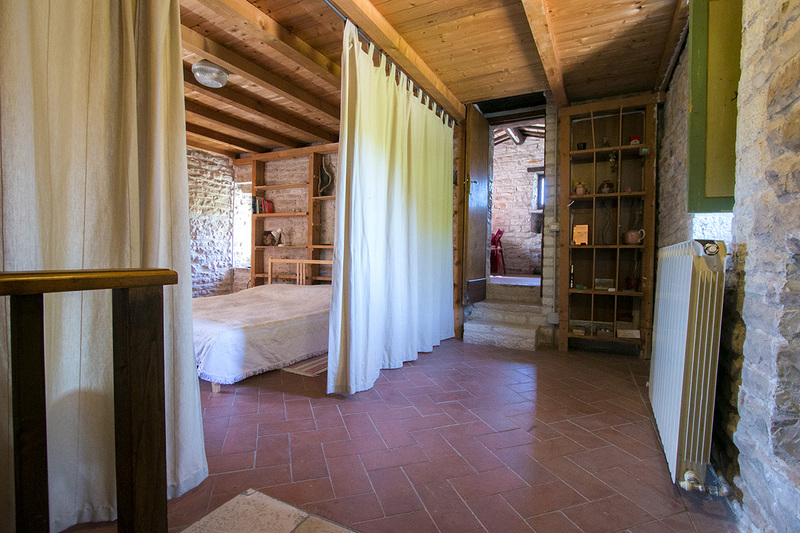 The floors are in terracotta and window frames are made of wood. 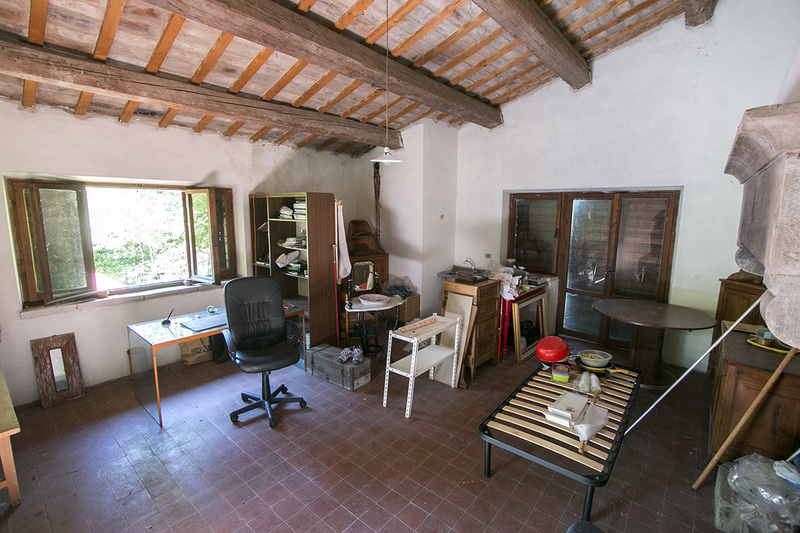 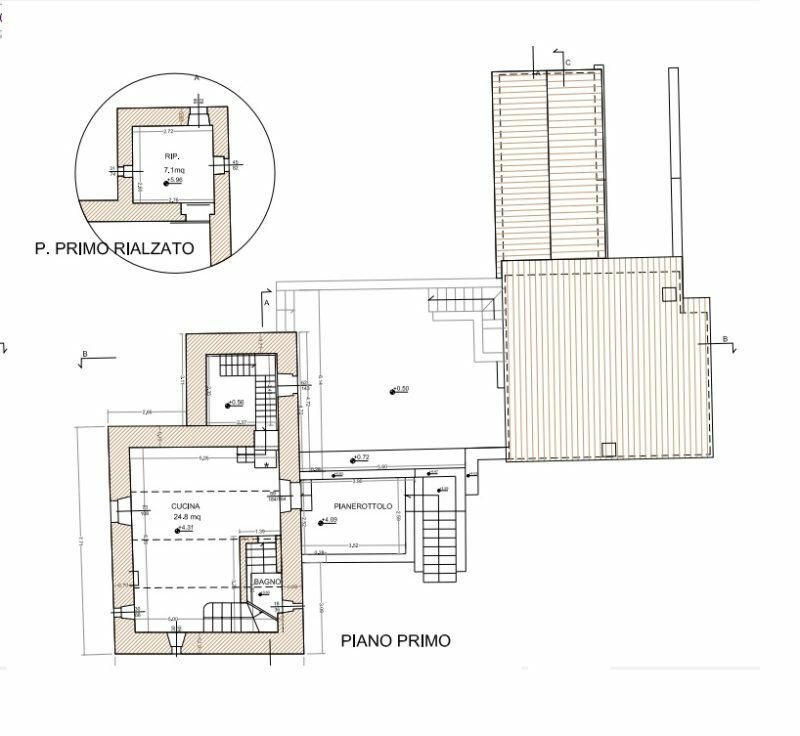 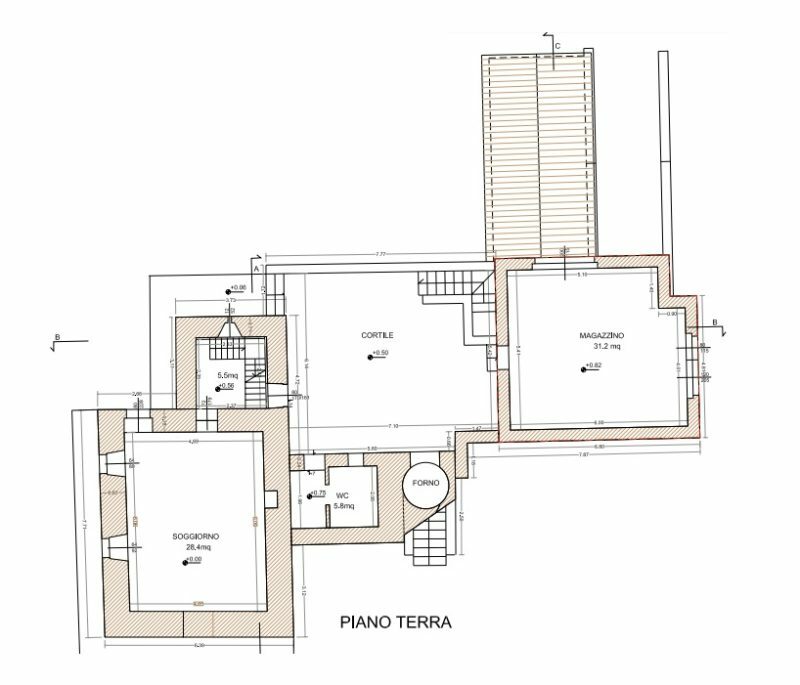 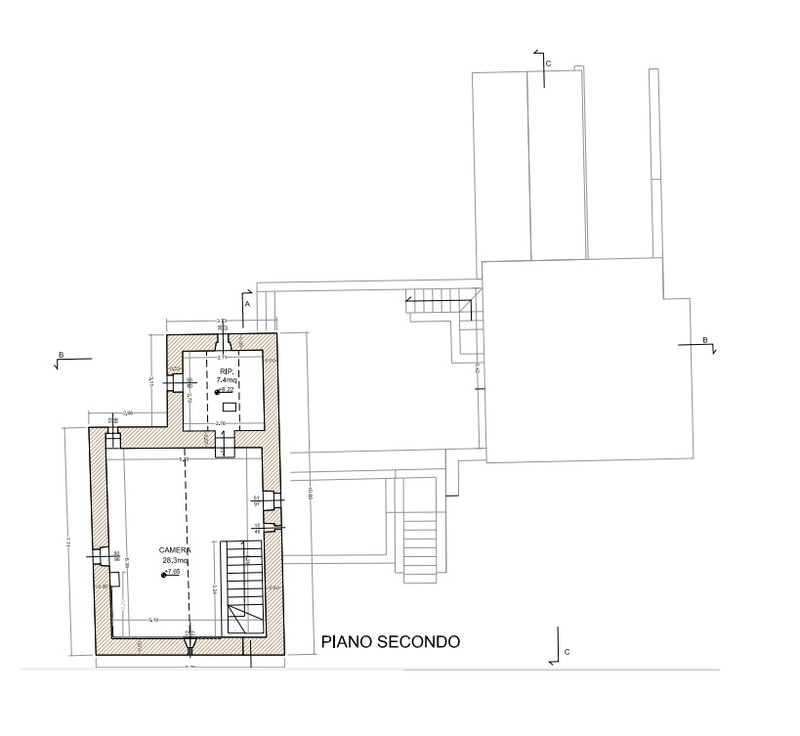 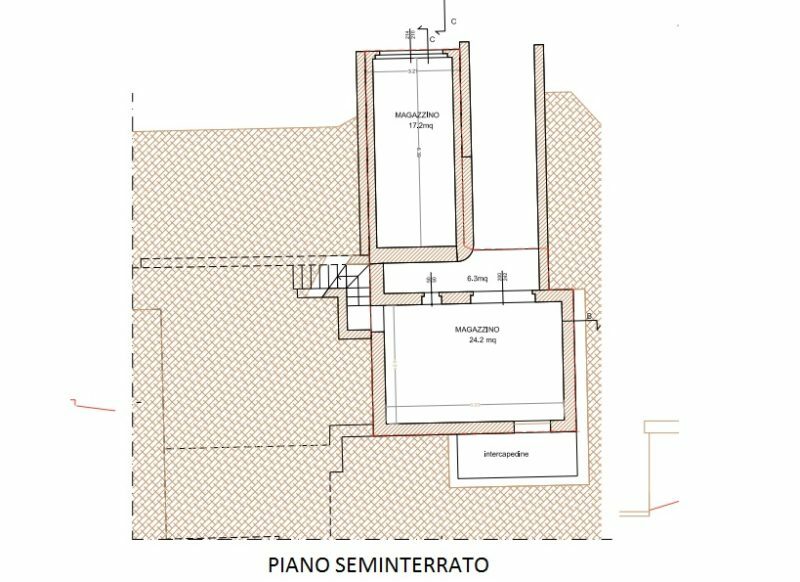 The building and the annexes are surrounded by a courtyard of 1,180 sqm. 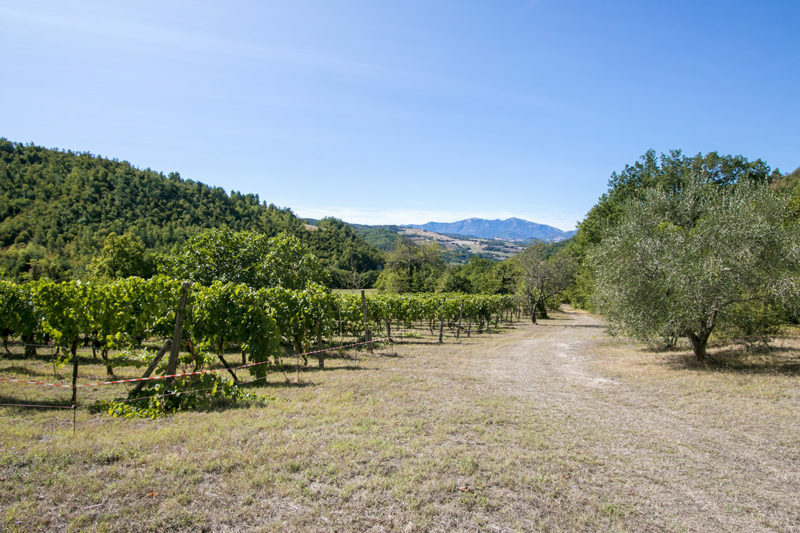 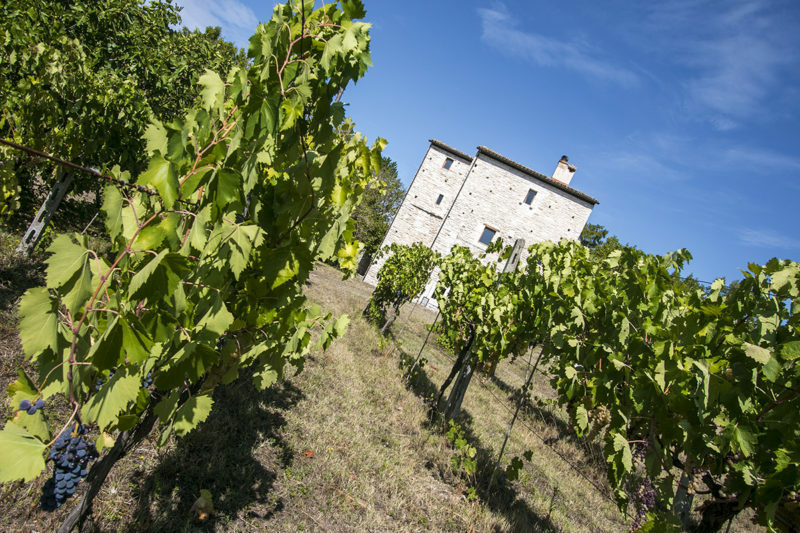 The rural part of the property includes a total of 97,314 sqm of land, of which 2000 sqm are productive vineyards, 3000 sqm meadows, and 92,314 sqm mainly mixed forest with mature plants that do not require special maintenance. 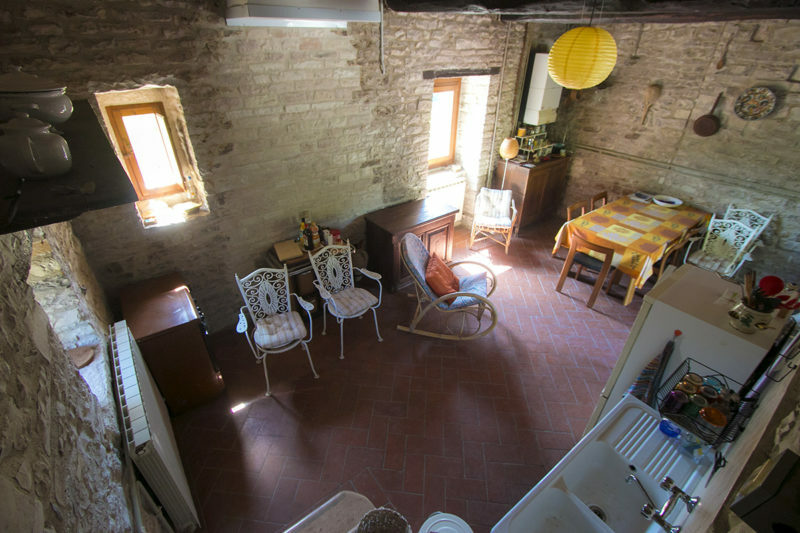 The condition of the property is good and allows for immediate residential use, only the living room on the ground floor needs work to counter humidity from the east wall. 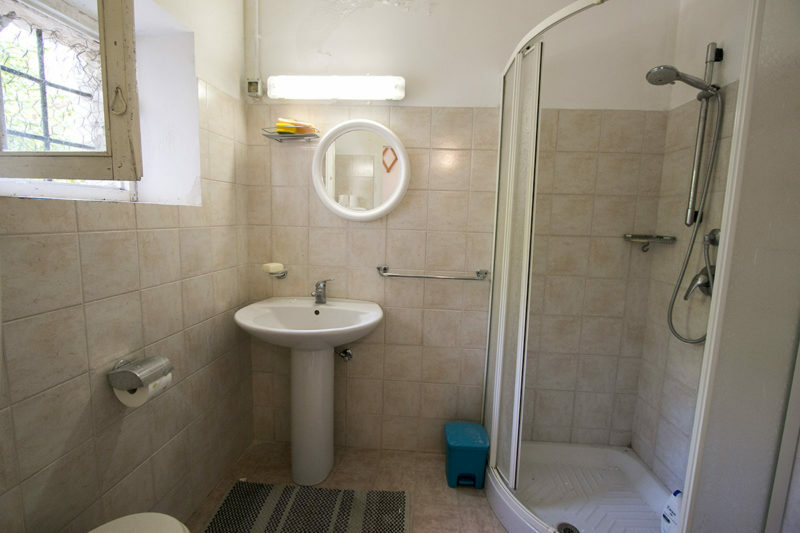 All utilities are fully functional. 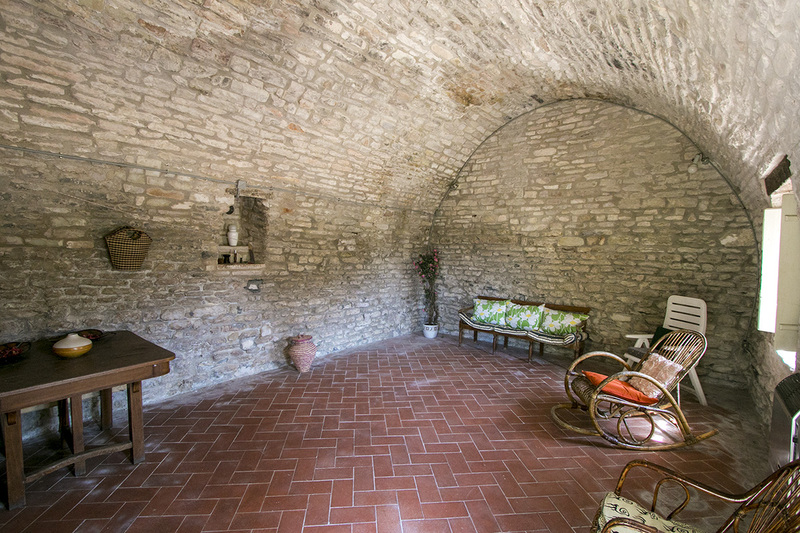 There is a private gas supply.